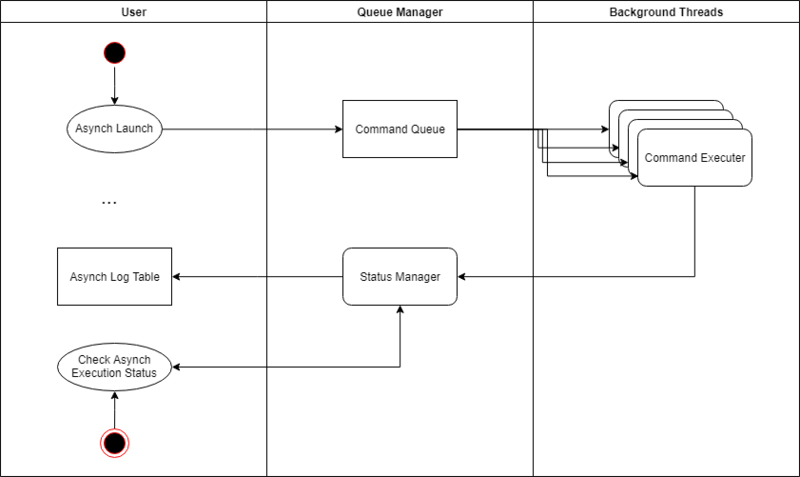 As any other *Server, SQL Server is born with concurrency in mind, a lot of users/applications can connect concurrently and do their job, as designed, perfect, but, what if you’re the only user? What if you’re in some kind of data warehouse configuration where you have to ETL, or you are in a maintenance window and have to do a bunch of stuff in that time, or simply you need to launch a task but you don’t want/need it to be blocking for your operations? Usually, you would create more clients/sessions and launch each task from a different client, and call it a day, which is a perfectly functional solution, by the way; But what if you don’t have access to any other external tool other than SQL Server itself? You know, customers can have all kinds of restrictions on their servers and can be picky. We’ll have a SP that can be launched at any time, to which I pass the SQL code that I want to execute. The Service Broker is usually disabled (except for MSDB, but that’s another story), so you’ll have to enable it after creating the demo database. Each message is sent to a Queue , which is managed by a service. Until now we’ve played around, let’s take out the procedures! If for some reason something went wrong during the execution, the failed notification alongside with the error message is sent back to the initiator queue. The procedure name is the name of our CommandLauncherProc, which will listen on the queue. The MAX_QUEUE_READERS , on the other hand, is similar to a MAXDOP parameter, meaning that in the code above a maximum of 5 concurrent messages can be elaborated at the same time. In our case, this means that if we queue 10 messages, they’ll get processed in 10 seconds (5 seconds per procedure, 5 running at the time) as opposed to 50 seconds of a serial run (of course I’m deliberately ignoring any concurrency, lock wait, etc that may happen, only happy theory). Now, let’s handle the other part of the background processing, as I need a queue-elaborating procedure to process the commands to run, I need the same to process the replies and statuses. Similarly, here we’re monitoring the InitiatorQueue for new ReplyMessages and inserting the results in the logging table that we created at the beginning according to the message contents. The procedure is then set as the activation procedure of the queue. I’ve implemented a basic and arbitrary way to keep the log table exceed a certain number of rows, of course this can be accomplished in various ways, depending on your requirements, this is just a proof of concept, it can’t be perfect, you have to earn your salary! Here we’re simply opening up a conversation to the TargetQueue sending the SQL code as message payload. As you may have noticed, to avoid endpoint leaking, we’re giving a limited Lifetime to each conversation, in our case 10K seconds by default because I’m lazy, this will kill off any open endpoint automatically after the lifetime span ensuring that no trash is left around. Just an idea, but maybe we could use this to spin up more maintenance/background tasks during a maintenance window o when user activity is low? You never know! Finally, let’s see if everything works as it should! We’re just simulating a random execution duration with WAITFOR and a random number, launching 10K queries in the queue (set to DOP=20) and waiting for it to complete. For this particularly computational-empy workflow, we have a 0.3% performance loss vs the ideal case, probably due to the time that the queue threads need to spin up and the exchange of messages, however, not bad. The main thing would be to precisely evaluate the concurrency and resource utilization of such background tasks in order to avoid resource starving, locking, deadlocking and all that fun stuff.